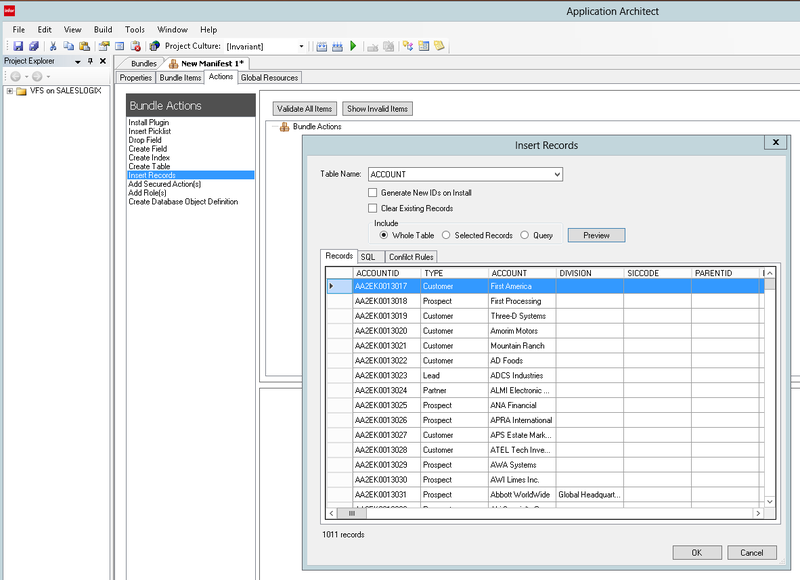 The Application Architect has several new bundle action types – Insert Records, Add Secured Action(s), and Add Role(s). The Insert Records screen allows you to choose records from every table in the database and includes all fields in that table. Also added is the ability to save a bundle as a folder.